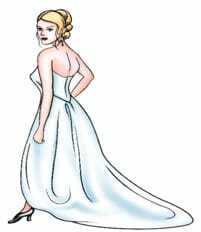 The dress train can change the look and feel of your wedding dress. 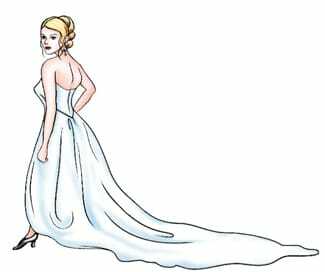 It is simply the elongated back portion of the wedding gown that lies on the floor and trails behind the bride.They were worn in the middle age at court since the length indicated a person’s social rank. The premise being the wealthier you were the more fabric you could afford. 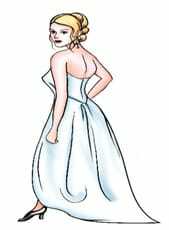 Today, wedding gowns in Ireland with long chapel and cathedral trains are considered the most formal as compared to court and panel trains. 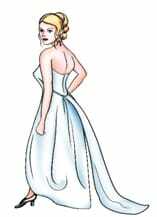 The court gently puddles about a foot behind the wearer, and the detachable train can be of any length. 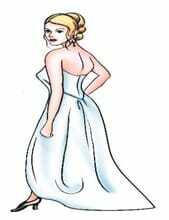 A flat panel or gathers of fabric is generally attached to the wedding gown at the waist with buttons or hooks and can be removed to be a bit less informal and not as imposing. Here are some of the different types of trains that you need to know about, while purchasing that dreamy second-hand Jenny Packham wedding dress in Ireland or a simply a gorgeous second-hand wedding dress for sale. A separate simple panel of fabric about a foot wide that acts as a train. 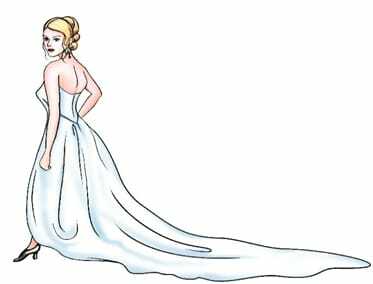 The shortest train, extending back approximately one and a half feet or less from where the gown hits the floor. Also known as a ‘brush’. The same length as a sweep train, the court train extends directly from the waist. A very popular length, the chapel extends approximately 4 feet from the waist. A very formal option, the Cathedral extends approximately 9 feet from the waist. Also known as the royal, this version extends 12 feet or more from the waist. Managing such a huge amount of fabric often requires pages (young boys) who hold up the train as you walk down the aisle. This is a very regal look.